The roads leading to Aero India show at Yelahanka Air Force Base to be held in February will soon get a facelift as part of the preparations to handle the traffic hassles during the show. 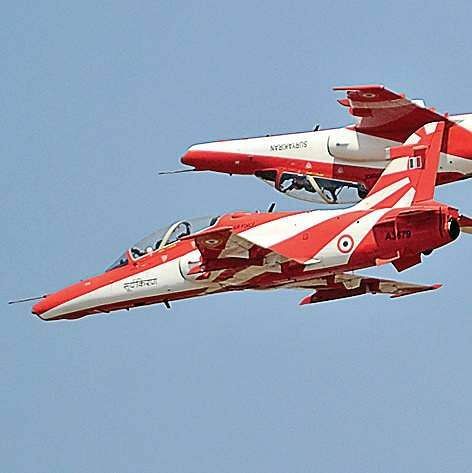 BENGALURU: The roads leading to Aero India show at Yelahanka Air Force Base to be held in February will soon get a facelift as part of the preparations to handle the traffic hassles during the show. The state government has provided `30 crore for the purpose and the cabinet approved the proposal on Wednesday. Budigere Road which connects National Highway Old Madras Road, International Airport Road, Doddaballapur Road and other roads that connect with National Highway-7 (Bengaluru-Hyderabad) will be improved ahead of Aero India show, Law and Parliamentary Affairs Minister Krishna Byre Gowda said. The state government will also take up other civil works to improve infrastructure for the convenience of people who converge in lakhs to witness the Aero India show, he said.